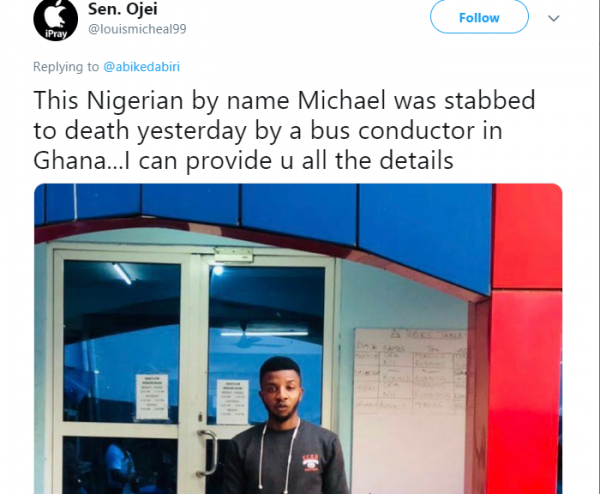 A Nigerian man has allegedly been stabbed to death in Ghana by a bus conductor. 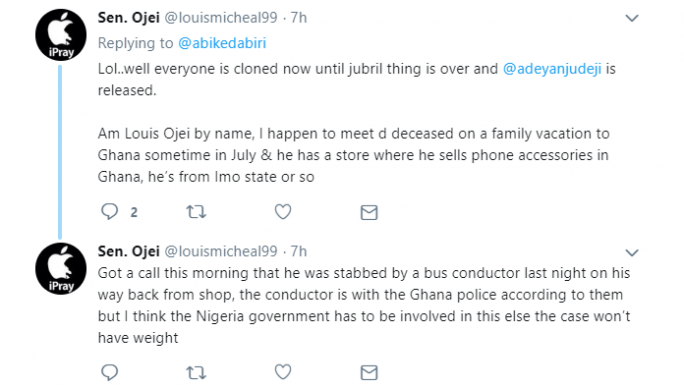 A Twitter user, Louis Ojei, @louismichael99, brought the attention of Abike Dabiri, the Senior Special Assistant to the President on Foreign Relations and Diaspora to the alleged murder on Twitter. In a bid to confirm Ojei’s identity, since, he had changed his Twitter name to that of Deji Adeyanju, who was arrested by police on November 28, during a protest in Abuja and charged to court, Dabiri asked him to properly identify himself. 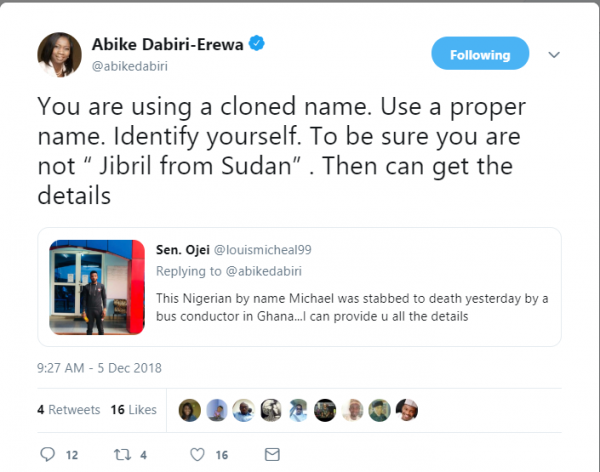 In identifying himself, Ojei said, “Lol…well everyone is cloned now until (the) Jubril thing is over and Adeyanju Deji is released. I’m Louis Ojei by name, I happen to meet the deceased on a family vacation to Ghana sometime in July. He has a store where he sells phone accessories in Ghana. He’s from Imo state or so. 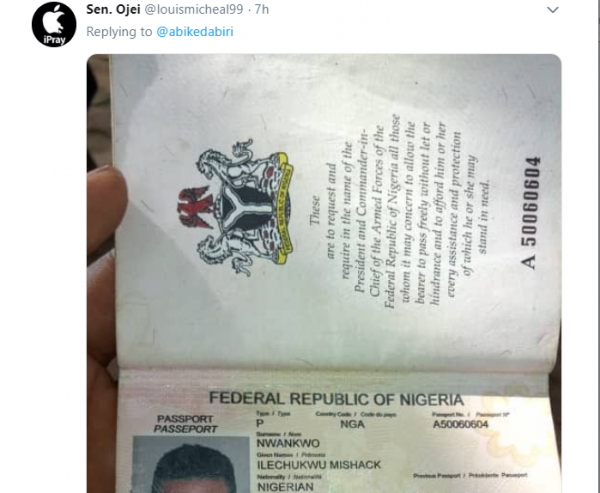 Ojei also shared a photo the passport of the deceased, which bore the name, Nwankwo Ilechukwu Mishack, who was born on June 5, 1985. Lol..well everyone is cloned now until jubril thing is over and @adeyanjudeji is released.